By Josephine Gallagher | February 28, 2013. 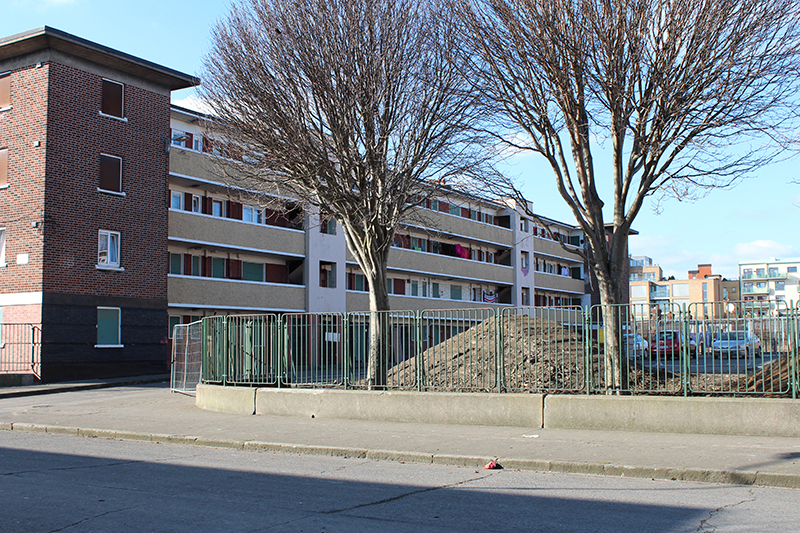 Residents of St Teresa’s Gardens are still waiting on confirmation from the Government on whether funding will be made available for new housing, as part of the regeneration project. 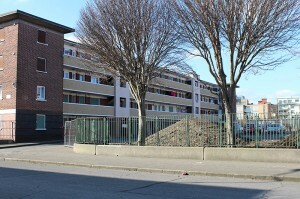 According to Sinn Féin Dublin City Councillor Críona Ní Dhálaigh, the current plan is to merge all remaining residents from the right wing block over to the left, to smaller refurbished flats. Dublin City Council meetings are ongoing and Councillors aim to push the project forward and get the Department of the Environment to guarantee proper permanent housing for combining residents. “People are actually battle weary, as this has been going on for over 10 years,” said Críona Ní Dhálaigh. Refurbishment on the right block is said to go ahead as every resident cannot be re-housed. There were 360 families living in the area, however only 105 now remain on site, with five more families leaving in the coming weeks. Last month two building blocks in St Teresa’s Gardens were demolished to make way for a safe youth space. Over the years the area has become associated with anti-social behaviour, with drugs and gangs being major problems. According to Councillor Ní Dhálaigh, over 80% of the remaining tenants desperately want to leave St Teresa’s Gardens, but refuse to consolidate to the left hand side without concrete proof of new housing in the near future. “Not only is there physical structural problems but there’s anti-social behaviour, such as gangs of youth, a vibrant community has now been trapped in half a wasteland and that’s a tragedy,” commented Críona Ní Dhalaigh.